33 Years and Counting! | It's In The Sauce! 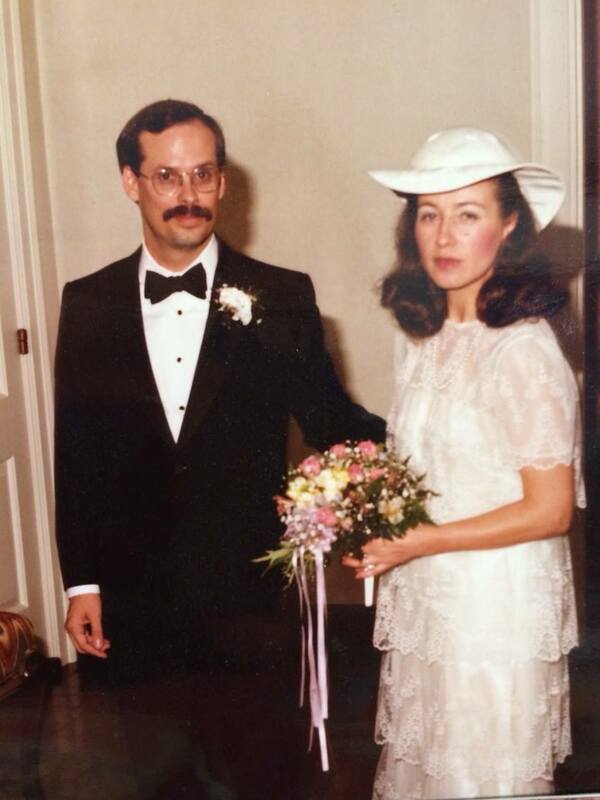 Today is Mike’s and my 33rd wedding anniversary. It is hard to believe that it has been 33 years. When we married April 28, 1984, we committed to each other and to our two daughters (one from each of our previous marriages) that we would be family for the long term. Although 33 years is long term, I hope that we have many more years together. I feel so blessed that Mike and I met and married. He is indeed my soul mate. We have had a blessed life together. As I think about our long marriage and how it has lasted when so many others haven’t, including our own first marriages, I think there are three keys to our marriage’s success. First, we made a commitment. Those of you who have read my writings before know that I use the word commitment intentionally, and that to me a commitment is different than a plan. Most people plan to be married for the long term when they make the marriage decision. Some even have a commitment, but things don’t work out as they planned. Sometimes one of the partners in the marriage is committed, but the other one isn’t. A marriage that is going to withstand the challenges that surely will come requires that both people be committed. Another key to a long term successful marriage is that the individuals complement each other, not compete with each other. When people are too much alike, they can fight for control. When they complement each other, they depend on each other; their strengths are complementary, and so are their weaknesses. They need each other in a way that people who are too much alike do not. This need is not a weakness, but a strength. They do not lose themselves in each other; they become more of their best selves with each other. While it is certainly possible for couples to be happily married when they are more alike than different, I do believe that differences in the personalities adds a dimension to a relationship that strengthens it. It is necessary to understand and value the differences, and to see those as complementary, not divisive. A third key to a long term successful marriage is that both partners respect each other, not just love each other. Love can ebb and flow, and when one must dig down deep to find the love, respect is what sometimes helps to weather the storms when the love needs to be rekindled. If respect is lacking, it is easier for the daily challenges that can occur in any marriage to become insurmountable. If each person truly respects the other, their behavior will be respectful. They will want what is best for the other, not just what is best for themselves. They will be committed to what they have built together and protect it, not allowing anyone or anything else to come between them. This is not intended to be an all-inclusive list. There are other variables that are involved in a successful marriage. But a marriage that involves commitment, effectively managing the differences each brings to the marriage, and respect for each other has served Mike and me well for these first 33 years. Now on to the next 33! This entry was posted in life and tagged anniversary, marriage, wedding. Bookmark the permalink. 11 Responses to 33 Years and Counting! Thank you so much, great daughter! Happy Anniversary, dear friends. We wish you at least 33 more years together. Love you both! Thank you so much. You have been with us for all of these years! Yes, you were there from the beginning, Ginger! Thanks for reading, and for your sweet comments. Love and miss you, always! Arturo, you are sweet to read my musings, and to reply; thank you! And happy early anniversary to you and Martha! All the best Tia Patti. You forgot to mention Mike’s commitment to entering the dog house! Martha and I working on # 34 ! Arturo, I replied above in the wrong space, and am not tech savvy enough to correct it!